SCOPE Productions is excited to host American remix artist Girl Talk as performer at the six annual 10,000 Hours Show of Eastern Iowa. The concert is set to take place in the 2nd Floor Ballroom in the Iowa Memorial Union in Iowa City, Iowa on Monday, April 13, 2009. 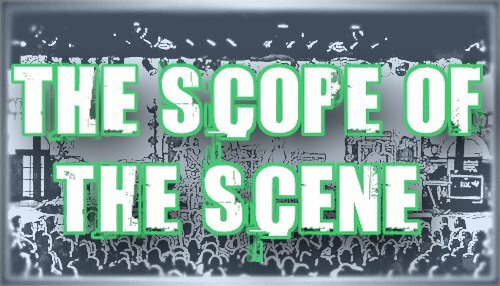 The show is made possible through the continued partnership between SCOPE and 10K, now in their third year of working successfully together. Girl Talk features the artist Greg Gillis, a Pittsburg, Pennsylvania native. He attended college in Ohio as a Biomedical Engineering Major but found his true calling in early 2007. Since then, he has become a world-wide music sensation. The 10,000 Hours Show (10K) is a year-round effort to engage young people in volunteer service that results in a free concert for which the only way to gain admission is 10 or more volunteer hours with local nonprofit organizations. Incorporating the community and driven by young people, 10K is an influential community building effort and exuberating learning experience. It is produced locally through a partnership between The University of Iowa and The United Way of Johnson County. To earn a ticket to the show (tickets cannot be purchased), please register and find volunteer oppertunities here. GET READY TO PARTTTTTTTTTTY !